chi running | Run Inspired. A few days ago a friend shared with me an article about running shoes and their effectiveness in reducing injuries. 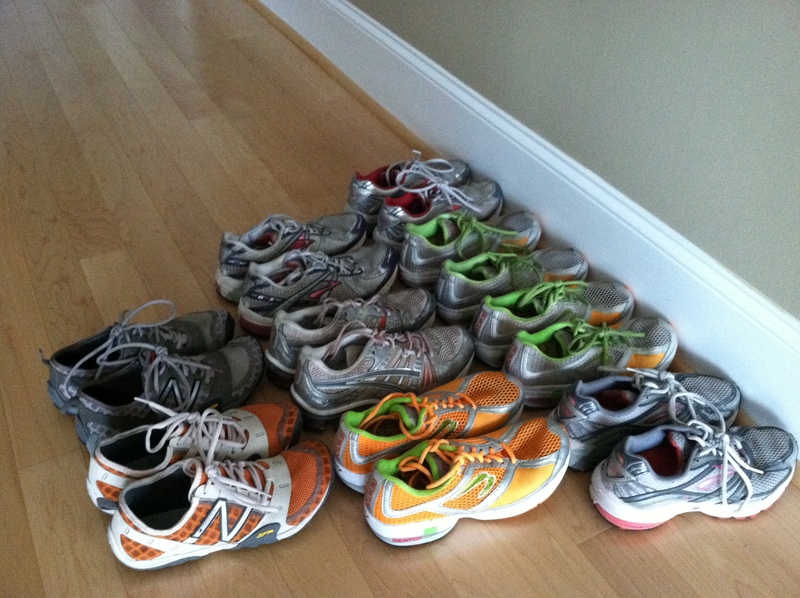 As runners, we always hear how important it is to find the right shoe for our foot. Overpronators need motion control shoes and underpronators need neutral, cushion shoes. I’ve worked at two running shoe stores and this was how we determined what shoe was best for people. Well, it turns out there really isn’t any evidence this is effective. Here is the complete article. It is definitely worth reading. I’ve gone through a lot of shoes since I started running 11 years ago. Motion control, stability, cushion, minimalist, you name it, I’ve worn it. With every pair of shoe, came an injury. From my own experience, I do not feel that any shoe has done much to keep me off the injured list. What I am finding to be the more helpful is paying attention to my form, using the foam roller, strength training, working on my core, and just paying attention to my body. In other words, taking an overall approach to my running. The more I think about it, the more I believe that one pair of shoes is not going to fix anybody’s running woes. It may work for some people, but I would venture to say those people are in the minority. 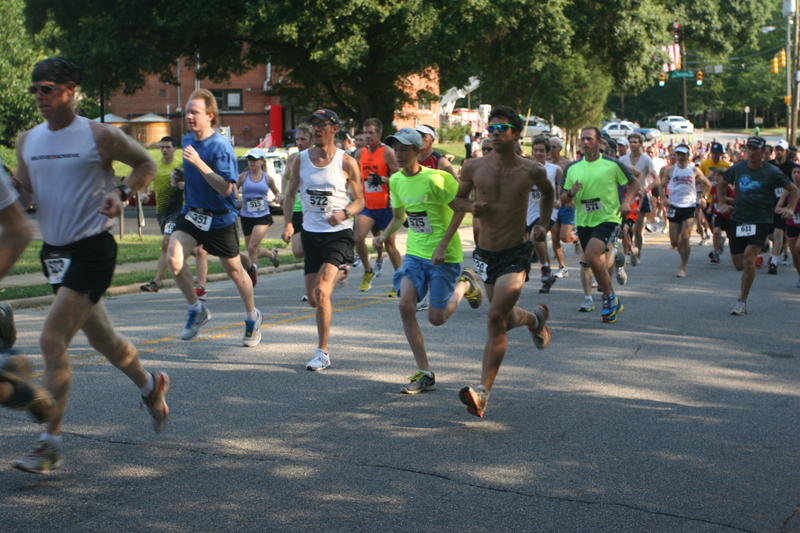 Last week I made the decision to take a ChiRunning class after seeing a few race photos. It looked like my arms and shoulders were probably slowing me down instead helping me to run faster. I learned many things during the class on Saturday, but the component that I am focusing the most on right now is arm swing. Arm swing is important and it can either help you or hurt you. In some of my photos, I look like I’m ready to elbow you or do the chicken dance. In other words, my elbows are going out and not back. Perhaps one of the biggest lessons I learned on Saturday is to focus on on your elbows going straight back, not out, and not twisting. Want to learn how to improve your arm swing? Check out these tips here. Just by focusing more on my elbows going back, I can already tell a little soreness in my body but my running feels a lot easier. This was the best video I could find demonstrating the technique. I’m beginning to think that running form should be a class taught in PE. Well I officially completed my first ChiRunning class and man I am tired! Not because it was physically exhausting but because it was five hours in 100+ degrees. And I have a little sunburn to top it off. Other than the extremely uncomfortable temperatures it was a very interesting and effective class. I will do a later blog post about the class (running short on time today), but I wanted to write about one of the tools we used today – the metronome. How does a metronome help with running? According to Danny Dreyer’s blog (the founder of ChiRunning), the body thrives off of rhythm. The rhythm of your running is your running cadence – the numbers of strides you take per minute. Having consistency with that rhythm can be extremely beneficial to your running form. Dreyer introduced the use of a metronome into his ChiRunning classes to help create and maintain this steady rhythm. 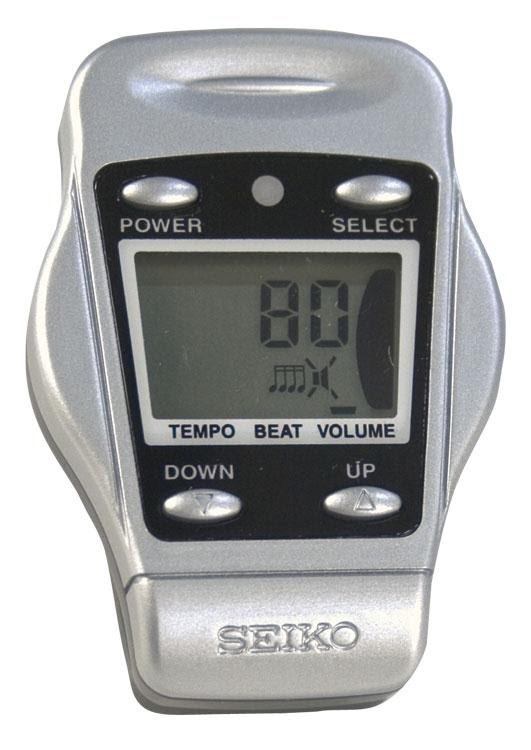 A metronome is a “device that produces regular, metrical ticks (beats, clicks).” It keeps you running with a steady cadence. According to Dreyer, “when your cadence becomes a naturally sustained rhythm, it requires that you vary your stride length when you’re running at different speeds.” Most people have a cadence of 85-90 strides per minute (or 170 – 180 steps per minute). If you already have a metronome and want some tips to start using it, here are some easy to follow directions. There are also quite a few metronome apps that you can check out as well. Most of them do cost money and are more for music, but they might have some handy features for runners. This is the one we were using today during our class and it is about $20. Personally, I think that beeping would drive me a little on the loca side, so I might just stick to songs that are about my cadence. Jog.fm has some great suggestions for whatever your rhythm may be. This is the metronome we used in class today. At the start of this summer, I decided to focus on running speed. More intervals, more hill repeats, and harder tempo runs. After the race this weekend, where I did PR in the 5K (20:40), I decided I needed to reevaluate my plans. 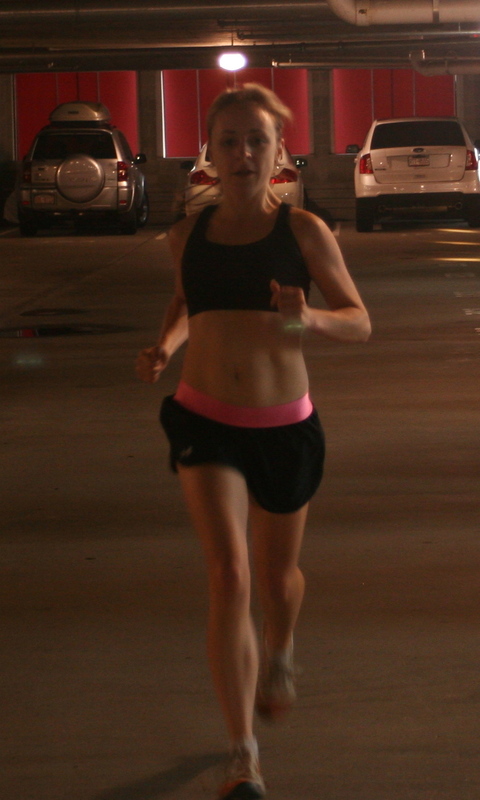 As I mentioned earlier this week, Mario took some great photos of just how crappy my running form is. I have a crazy left droopy shoulder and hips that always push to the right. Every year when I pick up heavy training, an injury soon follows. It’s inevitable. Then I take my training inside to the elliptical and bike, recover, and start running again. When I pick up the mileage, I find myself in the same situation. It really is a vicious cycle and I hate it. What the heck can I do to help my running form? After watching it, I realized my version of high knees is nothing like this guy’s version. Maybe that’s why he’s a track star and I am not. I wonder if I do these drills along with Predawn Runner’s core routine if I’ll have an 8-pack like him? Fingers crossed. Learning ways to improve my running form is an ongoing process. Today, this is what I’m starting with and over time, I hope to learn more. This morning I was reading The Lore of Running and came across the “Ten Laws of Running Injuries.” Law 6 is my goal for the summer – Treat the Cause, Not the Effect. I will be a better runner! I’m trying to focus on my arms and make sure they don’t swing out like batman. And see how I still lean to one side? Form looks somewhat better than the other pics. Why are hips important and how can one have stronger, less tight hips? Use your lower abdominals and gently pull up on your pubic bone. The lowest of the abdominal muscles is called the pyramidalis, which attaches to the public bone. If you cough, you will feel this muscle. It may be hard to find and feel at first, much less isolate the use of it, but it is worth it to practice finding it and using it. This is where you will practice being a yogi. When you use the pyramidalis and just your lower, deepest abdominal muscles to level your pelvis, while relaxing your gluteus and lower back muscles, you will change the structure of your body and improve all kinds of movement, not just running. It is especially good for men and women who suffer from lower back pain. Stretching your hips is also just as important. After our running group every Thursday, Sara leads us through some exercises to stretch out the hips. We are all pretty amazed at just how tight our hips actually are. The two poses we do the most are double pigeon pose and pigeon pose. I have been doing these every day for about a month and can tell a huge difference. And of course, strengthening the hips is important to any runner as well. Here are some exercises from Runner’s World. The hip abductor is my favorite. When I first started doing it, I was amazed at just how weak my hips were. Some other exercises can be found here on Livestrong.com. Over the years, I have learned that running is so much more than just running, It is stretching, lifting weights, eating clean foods, getting enough sleep, and really becoming in tune with the body. I am finally starting to understand that for me, healthy hips equal healthy running. And maybe if I practice some of Shakira’s moves, that will help too. Over the past month, I have had the amazing opportunity to work with some pretty fabulous ladies for my running group. We are all levels and all abilities, but we all share a common goal. To take time for ourselves, to push ourselves, and to realize all that we are capable of both mentally and physically. Some are new to running and some have been doing it for much longer. For me, running is the best sport ever, and although not everyone will love it as much as I do, I want everyone to be able to enjoy it. What happens when someone says their knees hurt or they are suffering from shin splints? I don’t want the Run Inspired. girls to ever get discouraged by the pains that so many times will derail runners. I want them to keep going, pain free, and enjoy what I personally believe, we were born to do. What is chi running? How does it help runners and how do I learn it? 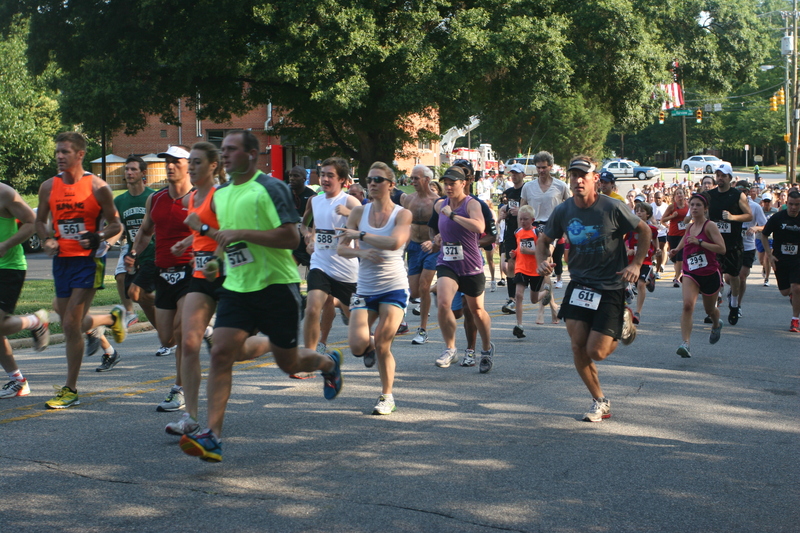 Chi running is an actual method of running that focuses on running in a more natural way. The goal of chi running is less injuries and improved personal performance. It was developed in 1999 by ultrarunner Danny Dreyer, and has continued to gain in popularity. There are books, videos, and classes you can take to learn the chi running method. For anyone in the local Raleigh, NC area, Pat’s Personal Training has a class July 7th ($150) at Shelley Lake. I actually tried to take this same class in February but it was sold out a month in advance. Let’s see if I can get into this one. The idea behind chi running is to use your chi, or the energy that unites the mind, body, and spirit to energize you through your runs. 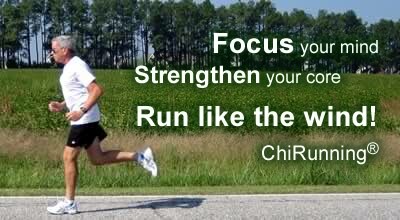 The foundation of chi running is postural alignment and relaxation. The technique includes a focus on landing with a midfoot strike, using a forward lean and engaging core strength for propulsion, rather than leg strength. The technique claims to be similar to that of East African runners, as they too have a relaxed and efficient stride. Mmmmm… I wonder if I learn this technique, if I will be dominating the local running field? Probably not. There are many ways you can learn chi running including, workshops, books, videos, and training programs. There are actually quite a few books out there on chi running, chi walking, and chi marathoning. I personally, am more of a hands on learner so I’m hoping to get a spot in Pat’s workshop. I want to be able to share these techniques to my running group and I’m hoping they can keep me a little more pain free with my own running. I hope everyone has a fabulous weekend and if you have any suggestions for blog topics, please email me (iruninspired@gmail.com)! I still have 330+ days to go. And on a side note, many congratulations to all of the graduates from CHS tonight! Best of luck in all of your future endeavors!